Samsung’s mobile marketing is known for occasionally getting a bit ahead of reality, and its pre-CES efforts are more of the same. 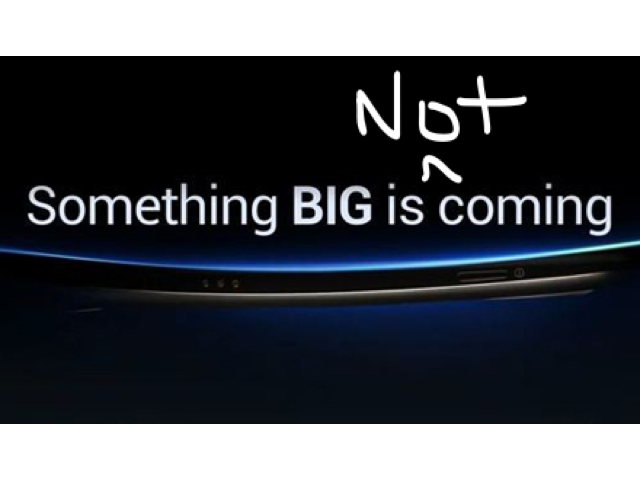 Some took a Samsung teaser page for CES to be an indication that a big mobile device was coming at the January consumer electronics event — perhaps even the next flagship Galaxy S phone. We’re told by sources close to Samsung not only not to expect the S4, but not to expect any big mobile news at CES from Samsung. The Korean electronics giant will of course have news at CES, but expect more on the big screen front (and I don’t mean the Galaxy Note). Think TVs. Meanwhile, expect mobile news to come at events later in the year. And, we’re not alone in this view. CNET and others are hearing the same thing. Meanwhile, here’s the teaser video that got people all worked up.